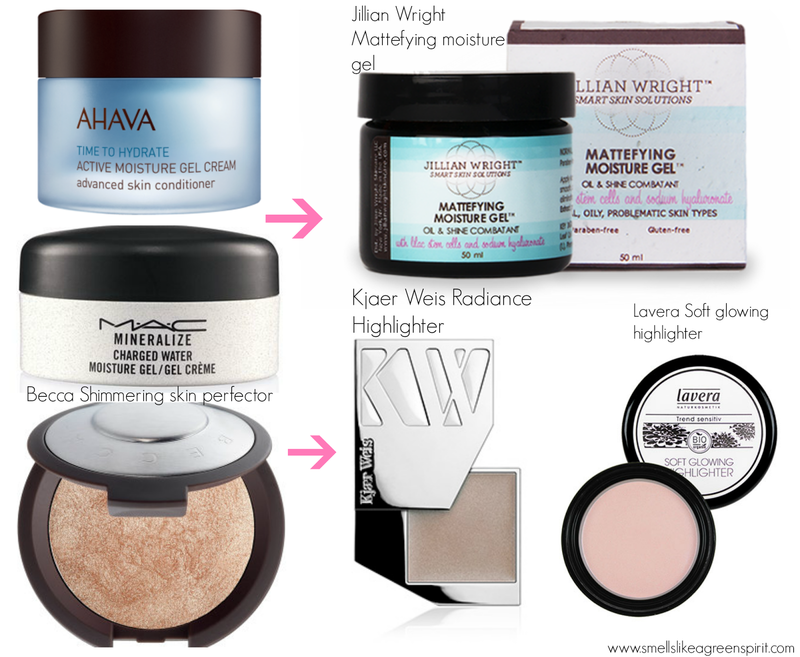 Before I was introduced to Jillian Wright, I hadn’t even heard of a moisture gel. Now I get what the fuss is all about. It tackles excess shine, calms down redness, smoothes the skin out and makes a great base before makeup application. top of skin, thus provoking breakouts. Also, the term Parfum or Fragrance is a catchall for hidden chemicals. They don’t disclose its origin, and we now know that over 3,000 chemicals are used as fragrances. The alternative: Jillian Wright Mattefying Moisture gel. Jillian Wright is the founder of the Jillian Wright Clinical Spa and provides facials and other skin and bodycare treatments in NYC. She combines science and nature, for maximum results. The Mattefying moisture gel tackles several problems at once: it soothes inflammations, controls excess shine, and retains the moisture. Admittedly, it’s more expensive, but it is made with a significant amount of botanical extracts, some certified organic ingredients and no hidden chemicals. Also, a little goes a long way, as you only need a small amount of product. I’ve been seeing this product everywhere, magazines, youtube videos, shop newsletters etc., therefore I had to give it a closer look. 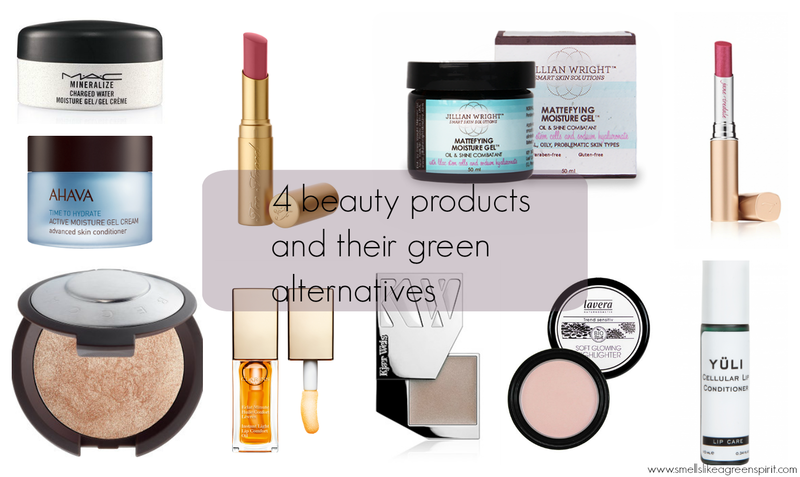 It’s touted as one of the best highlighters, but there are quite a few outstanding ones in the green beauty department. BECCA’s skin perfector is loaded with talc and silicones. Some talc contain asbestos, a potentially harmful substance. Unless they specify it’s asbestos-free, it’s preferable to avoid it. Kjaer Weis highlighter is the definition of luxe, it imparts a chic, sophisticated glow. It has a soft lavender hue which is very flattering and natural-looking. The product blends really well, with a dewy finish. It’s talc-free, mineral oil free, with certfied organic ingredients. Lavera is the affordable option. And it performs extremely well too. It’s a cream to powder formula, with a pearlescent glow. Benzyl Benzoate**. * Ingredients from certified organic agriculture. ** Natural essential oils. Oils have now become a strong marketing argument in the beauty world, but it’s not strictly synonymous with quality. While the product does contain jojoba, hazelnut and sunflower oils, it’s not entirely made of oils. The main concern though remains the Parfum/Fragrance (as mentioned above), it’s a catchall for hidden chemicals, and since they don’t disclose its origins, who knows what’s in it. Part of my beauty arsenal since I wear a lot of lipsticks which tend to dry out my lips a bit. Yüli’s product is entirely made of oils and botanical ingredients, organic and wildcrafted. It has a delicate herbal scent. It soothes and quickly restores dry lips, working as an intensive treatment. There’s barely no price difference between Yüli and Clarins, but Yüli’s quality is superior. Compared to other lip products, it’s definitely not the worse. Two Faced La Crème lip cream contains a heavy amount of emollients, to provide intense moisture. 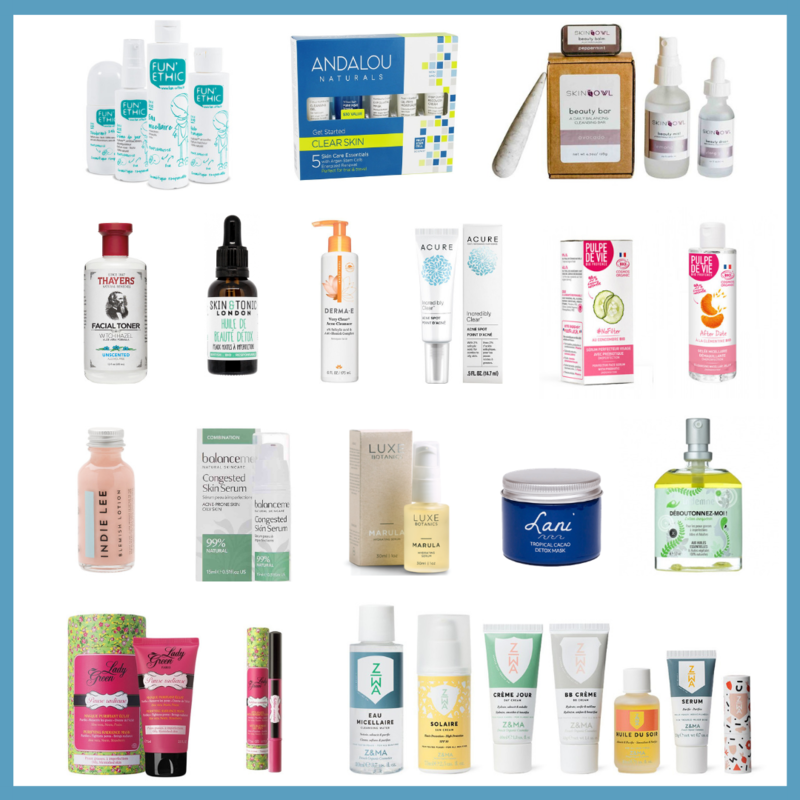 Most of these emollients are rated 1 on Ewg, so they are technically considered safe. However, they remain synthetic and certain ingredients should be used with caution such as Citral, which has been associated with allergies and contact dermatitis when synthetically manufactured. It also has a score of 7 on EWG skindeep which is really high. Ingredients: Punica Granatum (Pomegranate) Sterols, Vegetable Oil (Olus/Huile Végétale), Polybutene, Caprylic/Capric Triglyceride, Diisostearyl Malate, Polyethylene, C12-15 Alkyl Lactate, Isostearyl Hydroxystearate, Triisostearyl Citrate, Trimethylolpropane Triisostearate, Euphorbia Cerifera (Candelilla) Wax (Candelilla Cera/Cire De Candelilla), Isostearyl Isostearate, Tridecyl Trimellitate, Hydrogenated Vegetable Oil, Flavor (Aroma), Limonene, Benzyl Benzoate, Citral, Linalool, Geraniol, Hydrogenated Polycyclopentadiene, Nelumbo Nucifera Flower Extract, Ethylhexyl Palmitate, Tribehenin, Sorbitan Isostearate, Palmitoyl Oligopeptide, Phenoxyethanol, Mica. May Contain/Peut Contenir (+/-): Titanium Dioxide (CI 77891), Iron Oxides (CI 77491, CI 77492, CI 77499), Red 6 (CI 15850), Red 7 Lake (CI 15850), Red 30 Lake (CI 73360), Yellow 5 Lake (CI 19140). lips moisturized. 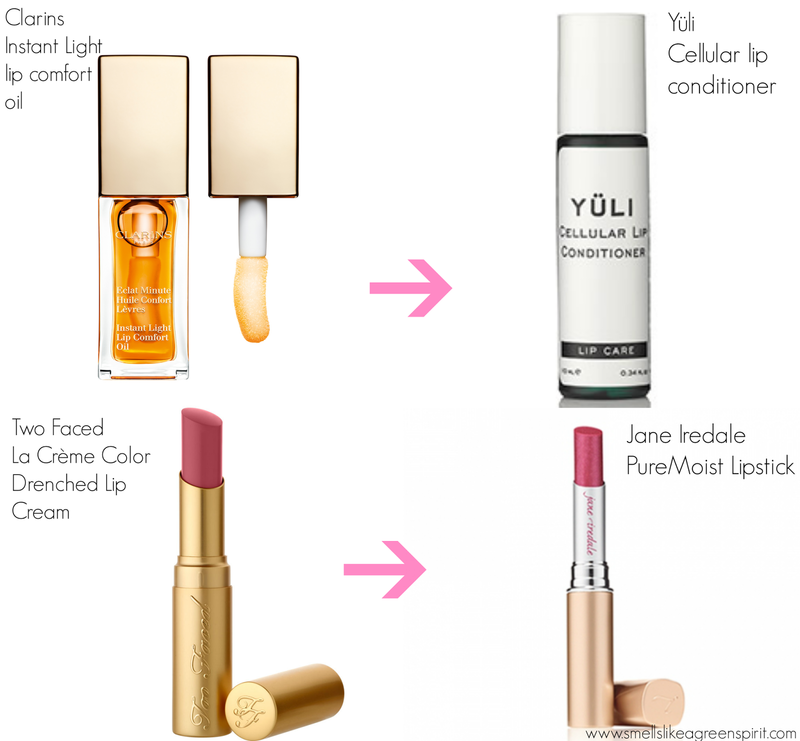 The first ingredient is an emollient, which is also found on Two Faced La Crème lip creams. It is often used in lip glosses and lipsticks as a conditioner and gloss additive. So far, no studies linked Triisostearyl Citrate to any negative side effects. 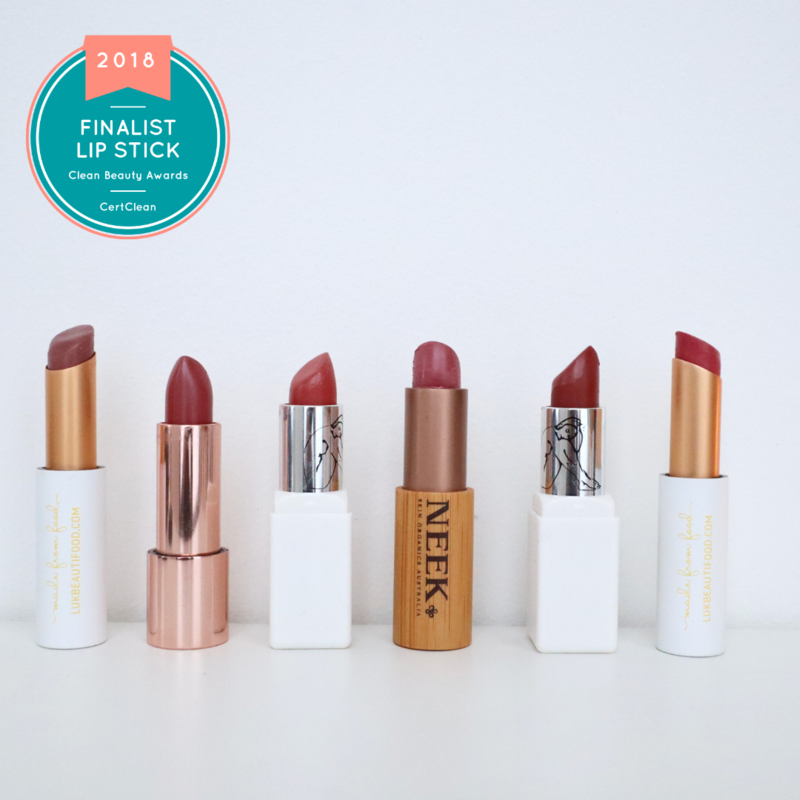 Triisostearyl Citrate can be vegetable-derived, and it’s also found in Bite Beauty’s lipsticks (here). Ingredients: Triisostearyl Citrate, Olus Oil, Persea Gratissima (Avocado) Oil, Copernicia Cerifera Cera, Jojoba Esters, Moringa Oil/Hydrogenated Moringa Oil Esters, Citrus Aurantium Dulcis (Orange) Peel Wax, Helianthus Annuus (Sunflower) Seed Oil, Euphorbia Cerifera (Candelilla) Wax, Punica Granatum (Pomegranate) Extract, Rubus Fruticosus (Blackberry) Fruit Extract, Camellia Sinensis (Green Tea) Leaf Extract, Coffea Arabica (Coffee) Seed Extract, Vaccinium Macrocarpon (Cranberry) Fruit Extract, Aloe Barbadensis Leaf Extract, Ascorbyl Palmitate, Tocopherol. May Contain*: Mica, Titanium Dioxide (CI 77891), Iron Oxides (CI 77489, CI 77491, CI 77492, CI 77499), Red 30 Lake (CI 73360), Red 7 Lake (CI 15850)(Aka 202), Red 6 Lake (CI 15850)(Aka201), Red 27 Lake (CI 454102). What do you think of these picks? Have you tried them? Really great idea Liz – my sister is a Mac fiend so I'll have to get her a few of your recommendations to try! awesome swaps Liz! Love these! Great post :). You found alternatives for very popular products so many people will find it useful!